Lou Donaldson, alto saxophonist, recording star and entertainer extraordinaire was born in Badin, North Carolina on November 1, 1926. He is the child of parents, Lucy Wallace Donaldson, mother, and Louis Andrew Donaldson, Sr., father. His mother was a first grade teacher at Badin High School, Musical Director at the school, and a concert pianist who was a graduate of Cheney University. His father was a graduate of Livingstone College, an AME Zion minister, and insurance agent. Lou is the second of 4 children, between older sister Margaret and younger sister Elizabeth and brother William, all of whom ended up involved with music. Lou never studied piano because his mother had a switch that she would crack across the fingers when students missed a note. That turned him completely away from being a pianist. When he was about 9 years old, she heard him singing or humming all of the piano etudes that the students played and she took him aside and told him that he had more musical talent than anyone in the family and that he needed to play some type of instrument. She got a clarinet from the Band Director, Leo Gabriel, at the Alcoa Aluminum Plant Band. Although she knew nothing about the clarinet, she taught him basic music and they used the clarinet book to learn the fingerings and how to play the clarinet. Lou mastered the instrument and this ignited his pursuit of a career in music. At age 15, Lou matriculated to North Carolina A& T College where he received a Bachelor's of Science degree and joined the marching band playing clarinet. After being drafted into the US Navy in 1945, he played in the Great Lakes Navy Band where, when playing for dances, he would also play the alto saxophone. After going into Chicago several times, he heard of Charlie Parker and, after checking him out, he decided that this was the style of playing he would make his own. Previously he had played like Johnny Hodges, or Tab Smith, or another saxophonist named Pete Brown. Returning from the military back to North Carolina A& T College, he played in the dance band led by Billy Tolles, who was a great saxophonist who played with several groups and with the Sabby Lewis Band during the summer months in Boston. Touring bands, such as Count Basie, Erskine Hawkins, Buddy Johnson, and Andy Kirk—all dance bands, used to come through Greensboro, North Carolina periodically four or five times a year. The students from the school would go down sometimes and sit in with the bands, all of which prompted the musicians in the band to tell them to come to New York. Lou never did go to New York then because he was also playing baseball which he loved dearly. But Illinois Jacquet came through with a tremendous band and Lou sat in with this band. The drummer was Poppa Joe Jones who, without any reservations, told Lou to come to New York and checked him in his hotel behind the Apollo Theater. Also, there was an Army band stationed in Greensboro that had several musicians of note: James Moody, Dave Burns, Joe Gale, and Walter Fuller and they insisted that Lou go to New York to establish himself as a musician. They assured him he would be welcomed and that he would be able to “cut the mustard”. Taking this advice, Lou went to New York in 1950 or late 49. Being a GI and a Veteran he enrolled in the Darrow Institute of Music, which was a GI school, and was paid a monthly stipend so that he could survive. While at the school, he played many small clubs in Harlem where he lived at 127th Street and 8th Avenue with his new wife, Maker. Maker was his longtime sweetheart from North Carolina and remained his wife and business partner for 56 years until her death in 2006. Together they raised two children—Lydia, deceased, who was a nurse and educational recruiter, and Dr. E. Carol Webster, clinical psychologist and author who resides in Fort Lauderdale and who, along with husband Charles, founded the African American Success Foundation that Lou very happily supports each year by doing a Jazz Benefit. Once he moved to New York, Lou worked weekends in Jersey with Dud Bascomb's band. One night while working at Minton's Playhouse—the famous jazz club, he was approached by Alfred Lyons of Blue Note Records to make a recording and he suggested that Lou make a Charlie Parker- type recording which he did with the Milt Jackson Quartet. 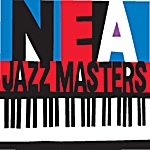 At that time, it was Milt Jackson, Percy Heath, John Lewis, and Kenny Clark. Later on this group would be called the Modern Jazz Quartet. The record was successful and the company asked him to make a record on his own and this is why he's most proud of his time at Blue Note Records— because this date started a career for him that actually made him bring several musicians to Blue Note Records and today he's very proud to have been the first to record these musicians— Horace Silver, Clifford Brown, Grant Green, John Patton, Blue Mitchell, Donald Byrd, Horace Parlan, Tommy Turrentine, Al Harewood, George Tucker, Jameel Nasser, and Curtis Fuller—with his group at Blue Note Records. Lou brought Gene Harris and the 3 Sounds from Washington DC to New York to record with him on the famous album called LD Plus 3 which was a big hit. His most famous group was Herman Foster on piano, Ray Baretto on conga, Peck Morrison on bass, and Dave Bailey on drums, which was the best move he made during his tenure on the label. This group recorded the famous record which is still selling today, Blues Walk—and on the back side, The Masquerade is Over. This solo is dearly considered by many disc jockeys as one of the top alto solos of all times and, along with Blues Walk, was used by many as a theme song. 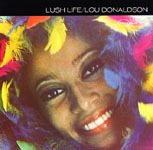 Another album Lou is very proud of is Lush Life, recorded for Blue Note with Duke Pearson as arranger and producer, that had several musicians who later become famous ?” Freddy Hubbard, on trumpet, Wayne Shorter on tenor saxophone, Pepper Adams on baritone saxophone, Al Harewood on drums, McCoy Tyner on piano, Jerry Dodgin on alto saxophone, Garnet Brown on trombone, and Ron Carter on bass. 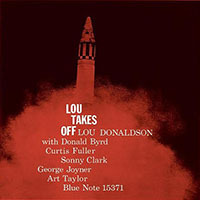 After this recording, there was a big demand for Lou in Europe and he started to tour through the Wim Wigt Agency out of Wageningen, Holland in the Netherlands with his group—Herman Foster, piano, Nat Yarborough, drums, Jeff Fuller, bass, and Lou on alto saxophone —very successfully for years. Many dates and many records in between, he finally met the great Jimmy Smith and was prominent on the record, The Sermon. He often told Jimmy that his solo on that record made Jimmy famous. The organ sound was so powerful and commercial that he started making organ records. In 1968 he recorded, Alligator Boogaloo with Dr. Lonnie Smith on the organ, George Benson on guitar, Melvin Lasky on trumpet, Idris Mohammed (Leo Morris) on drums which was a hit record. It stayed on the Best Selling Billboard chart for 52 weeks, and put Lou into a good position musically and financially. He then continued to make these type of records with the great Charles Earland, the great Leon Spencer, Jr. Billy Gardner and Baby Face Willette. Then Lou began to sing blues and luckily came up with a big hit called Whiskey Drinkin' Woman, recorded on Wim Wigt's label, Timeless Records, that is still in great demand every time he plays a set. In the mid 60's, Lou furthered his success as a musician and businessman. He set up his own tour of clubs—which was no easy feat in those days. Beginning in Rochester, NY, then to Buffalo, NY, and on to Pittsburgh, Pa.—where he worked two great clubs: Birdie's and Crawford Grill, then would head to Cleveland. All of these clubs were like two week stands and they weren't too far for Lou to drive because at that time he would have to carry an organ which he put on a U-Haul trailer. These places he booked and he would call ahead and keep booking so thathe could get more work and stay on the road. After Cleveland he would go to Columbus, right on the campus of Ohio State where one of his best friends, Warren Stephens, had a club—the Sacred Mushroom. Stephens also was an agent with the Ruth Bowen Agency and helped Lou get some gigs. Then Lou would move on to Dayton, Ohio to another club called Jilly's. Then onto Cincinnati, a few miles away from Dayton he would play two clubs—Babe Baker's and the Modern Jazz Room. From Cincinnati was another short jump to Louisville, Kentucky to the big club the Idle Hour. From there Lou would take old US 50 to Old St. Louis to the Riviera Club, the Gaslight Square Club, and a very famous club called Georgie's. Then he would head 7 miles away across the river to East St. Louis to the Blue Note Club owned by Leo Gooden, a good friend of his, where he met Oliver Nelson and recorded a great album that Oliver arranged for him called Rough House Blues. After St Louis, Lou would drive a couple of hundred more miles to Kansas City where he worked the Blue Room on 18th and Vine—the very famous street in Kansas City, and several clubs for well known club owner Jimmy Willis. Then he would head into Wichita to Bill Reeves' Steakhouse where all the food was free so the band had a nice stay for two weeks. Then from there, Lou was on to Tulsa, Oklahoma to the Twilight club, which was on a mountain overlooking Tulsa, for good friend Lloyd Williams, and then on to Dallas where the band worked 3 or 4 clubs, such as Lark Club owned by Chuck Banks. But the most prominent one was Magruder's. Then Lou would work a nice club in Fort Worth, the Blue Flamingo, which was about 40 to 50 miles from there, and then would put a long set together and go all the way to Los Angeles, California and work the It Club, run by a famous promoter named John T McClain. Lou also worked the Zebra Lounge on that famous avenue that a lot of people don't like to talk about anymore, Central Avenue. Then the band went up to San Francisco and Oakland to play a club named Mister Major's. After the band had a chance to rest, Lou started the long trip back to New York by stopping in Colorado at Basin Street West and also another club in Denver called the KC Lounge. Coming back over the top, the band dropped into Chicago where most of the time Lou worked for a good friend, Joe Segal who had a club named the Jazz Showcase which Lou worked for many years, which is still there. He also worked two very good clubs— McKee's Lounge and had some one nighters at the Persian Ballroom on 63rd and Cottage Grove. Then Lou would take the next trip coming back toward New York to Detroit where he'd work Baker's Lounge, a very famous club still there, and also the Blue Note Club which was owned by a good friend, Clarence Eddings. After Detroit, the band typically deadheaded straight across to play Cleveland one more time in another place called Leo's Casino which was at 55th and Central in Cleveland, and also Corner Tavern, then owned by Don King. The band would come back and play another place in Pittsburgh and then come across the Pennsylvania Turnpike to Philly to play the Blue Note on Ridge Avenue, Club Harlem, and a few more. Then Lou would drive the 90 miles back to New York. Lou is most proud of this tour because several other bands would call him during these years and he would give them the scheme of the clubs so they could also book them and play there. Sometimes he would be called by big promoters and people booking other groups to put their bands in these clubs because they didn't even know where these clubs were. Jack Whittemore, Miles Davis' manager, was famous for calling Lou to try to get Miles into some of these clubs even though they were so-called “ghetto clubs” because they were in poorer neighborhoods and Lou didn't know whether the great fans who frequented these clubs would relate to the groups that Miles, John Coltrane, and these types of musicians had. But Lou told them anyway and some got work in these clubs because of his help. Lou also remembers getting John Coltrane one of his first gigs in a place called Vernon's which was in New Orleans, Louisiana—and was also on Louisiana Avenue—and the manager was not too happy with the group. Also the Judge's Chamber in East St. Louis, Illinois where Lou had to talk the guy into paying Coltrane enough money to get him back to New York because he was unsatisfied with the group and was not going to pay up the money. These were the types of things even the great musicians had to face, but Lou eventually convinced the club to do the right thing and this got Coltrane back to New York. 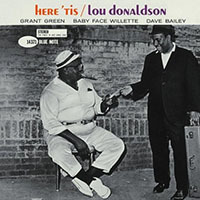 During these memorable years, Lou had four distinct groups that he would use for the organ sound: one group was John Patton on organ, Bill Hardman on trumpet, Grant Green on guitar, and Ben Dixon on drums. Another group was Lonnie Smith on organ, Billy Kaye on drums, Mark Elf on guitar—and sometimes Melvin Sparks on guitar, and Joe Dukes on drums—the greatest organ drummer of all times. Later he had another group with Caesar Frazier on organ, Eric Johnson on guitar, and Billy Kaye on drums with Sweet Lou on alto. Another of Lou's groups had Charles Earland on organ, Jimmy Ponder on guitar, Blue Mitchell on trumpet, and Idris Muhammad on drums. These groups played mostly the so- called “ghetto clubs” where the fans really got into their music and sometimes they were booked even for dancing. It was a very successful set up and several other people like Hank Crawford, Jack McDuff, Groove Holmes, Sonny Stitt, and even Dizzy found out about these clubs and had a good run following this idea. Later in the ‘80's, Lou began to go to Europe again touring most of the countries playing jazz festivals and one nighters and even today remains in demand for these types of jobs when he's able to do them. He has continued to play in between commercial and jazz music—sort of modified in places where the avante garde or what is called ultra modern—might run into some problems with the audience. Using this system, he has survived and continues to work as much as he possibly can at his age. This octogenarian has to space his appearances to suit his health and availability. He works locally in New York, his home town, twice a year at the Village Vanguard and twice a year and the Birdland Club, as well as many jazz festivals, concerts, and one nighters throughout the country and around the world. He is very proud of his current group that boasts the musical excellence of Randy Johnston on guitar, Akiko Tsuruga on organ, Fukushi Tainaka on drums along with Lou on alto sax. Lou was awarded the honorary Doctorate of Letters by North Carolina A& T University and a scholarship was established in his name that is awarded to the most gifted jazz musician at North Carolina A&T University each year. He was inducted into the International Jazz Hall of Fame and is the recipient of countless other honors and awards for his outstanding contributions to jazz. All About Jazz musician pages are maintained by musicians, publicists and trusted members like you. Interested? Tell us why you would like to improve the Lou Donaldson musician page.